11 days from £1977pp plus international flights. This holiday is a popular combination of visiting the famous sights of north India with time to relax in beautiful Kerala. It is ideal for a first trip to the sub-continent as we take you to all the well-known places of the ‘Golden Triangle', that's Delhi, Agra and Jaipur, as well as the fascinating city of Cochin in the south. The trip concludes with 3 full days in a lovely resort set on a beautiful Keralan beach, an ideal place to unwind. You will be met on arrival at Delhi airport and transferred to your city hotel. The rest of the day is free for you to relax after your flight. 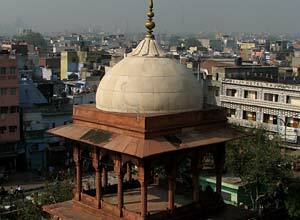 This morning you will be collected from your hotel for a full day tour of both Old and New Delhi. The tour will include sites such as The Red Fort, Jami Masjid, markets, New India Gate, Humayun's Tomb and the Qutub Minar. There also might be an opportunity to take a rickshaw ride in Old Delhi. After breakfast you will be driven to Agra, which takes about 3 hours. 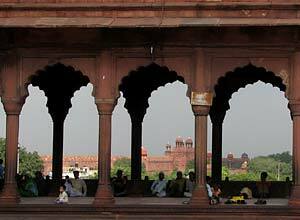 You will have a guided visit of the Red Fort and Baby Taj. 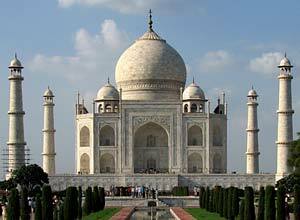 Later you visit the Taj Mahal to see it as the light changes at sunset. This really is a remarkable building, and even more so at sunset and sunrise. Breakfast. Today we have an early start, but it's worth it to visit the Taj Mahal at sunrise, before the crowds arrive. 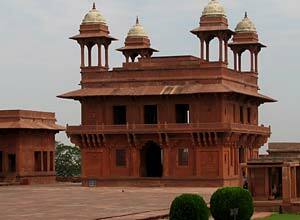 Return to your hotel for breakfast, after which you will be driven to Jaipur, stopping at the ancient city of Fatehpur Sikri en-route. This red sandstone ghost town dates back to the 16th century, designed as the Mughal capital, it was occupied for only 14 years, due to the water supply being inadequate. Today it is a perfectly preserved masterpiece of Mughal glory. Continue to Jaipur and check in to your hotel. Breakfast. This morning you leave the city for the short journey to Amber Fort. Outwardly imposing, inside the fort is ornate, with walls decorated with murals, frescoes, and paintings or covered with intricate carvings, mosaics and elaborate mirror work. 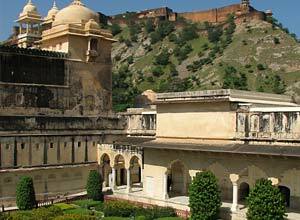 Return to Jaipur for a guided tour of the Pink City. Highlights include the palace museum, Sawai Jai Singh's fascinating observatory Jantar Mantar and the beautiful Hawa Mahal or Palace of Winds. Breakfast. You will be transferred to the airport for the morning flight to Mumbai, connecting to the flight to Cochin, scheduled to arrive mid-afternoon. On arrival you will be met and transferred to your hotel. Settle in and the rest of the day is free. 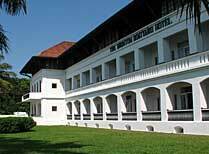 The hotel is located right on the entrance to the bay in the heart of the historic Fort Cochin district. Breakfast. 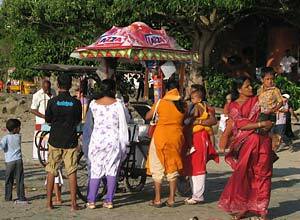 This morning you have a guided tour of Cochin. 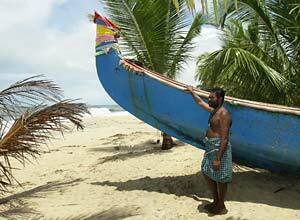 Cochin is one of South India's most attractive towns with a rich history. It has been a trading port since at least Roman times when it was on the main trade route between Europe and China, and is still orientated around the bay whose neck is lined with the famous Chinese fishing nets. In the afternoon you will be driven to Marari (about 90 minutes), where you will spend the next four nights. Breakfast. Time to relax! 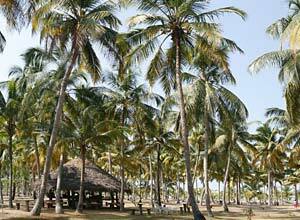 Marari Beach Resort is set in 36 acres of lawns, lotus ponds and coconut groves. A windbreak of palms runs the length of the property, reducing the sometimes gusty sea winds to a cooling breeze. You may opt to relax and enjoy the tranquil setting. There is no need to do more than this, but should you wish, you can take long walks or bicycle rides and it is definitely worth while to take time to stroll down to the village and explore. Breakfast. Two more free days at Marari Beach Resort. The resort has a full size swimming pool, beach volleyball and tennis for the more active, while Ayurvedic massages and yoga classes enhance relaxation. Breakfast. You have a morning transfer to Cochin airport, where the tour ends. Breakfast. Price notes: 2019/20 prices based on 2 sharing excluding flights: Up to Mar 2019 from £2094. 01 Apr - 30 Sep 2019 from £1977. 1 Oct 2019 - 30 Apr 2020 from £2297. Accommodation on a twin share basis; meals as specified; all transfers, sightseeing and excursions in an exclusive chauffeur-driven air-conditioned vehicle; services of an English-speaking guide for sightseeing; entrance fees at sites; flights Jaipur to Mumbai and Mumbai to Cochin. This tour starts in Delhi and ends in Cochin. International flights from the UK into Delhi and out of Kochin cost from around £500 per person, depending on season and availability. Departure dates: This is a private tailor made holiday which we can arrange for you at any time you like. South Indian states like Kerala, Karnataka and Tamil Nadu have amazing coastlines and a good variety of beaches resorts such as Kovalam, Kerala. 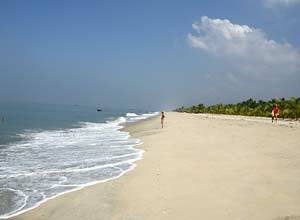 Long silvery beaches such as Marina Beach and Fisherman's Cove resort in Tamil Nadu; and quiet, more secluded beaches in Karnataka.